MOTION: Jamie made a motion to write a letter of support, seconded by Nancy. The motion passed. MOTION: Approval of previous minutes by Laurie, seconded by Jamie. The motion passed. Pat will supply a map showing natural gas usage in our neighbourhood, Jamie will post it on the website. Jamie made a call for any other members (besides Angela Lukach, who has already provided her nomination in writing) who would have their name stand for the position of president. MOTION: Seeing only one member who would have their name stand for the position, Jamie made a motion to confirm Angela Lukach as the new president of the association by way of acclamation. Seconded by Nancy. The motion passed. Jamie brought forward a communication from the Urban League indicating that our yearly membership is due and will cost $100. They have also requested a tentative (non-binding) list of events planned for the year which require insurance. Nancy indicated that we have in excess of $700 in the bank account and are able to pay for this expenditure. 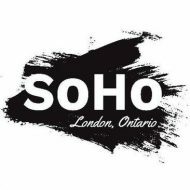 After discussion among the members, it was agreed that we will indicate to the league that we will require insurance for the SoHo picnic, tentatively fixing the date for August 28th. MOTION: Jamie made a motion to renew the membership at a cost of $100. Seconded by Laurie. The motion passed. Jamie brought forward a communication from Ryan Craven from the City. In cooperation with the League, he has created a facebook group for community associations. Laurie volunteered to be the representative. Maria volunteered to be an alternate. MOTION: Angela made a motion to appoint Laurie and Maria, seconded by Jamie. The motion passed. We will begin planning the 2016 market soon and will need volunteers. Will send an appeal for volunteers to the mailing list. The deadline for the Sparks grant is approaching. There had been some discussion that we should pursue a Sparks grant for park improvements in Richard B. Harrison park. MOTION: Jamie made a motion to permit Angela to complete the grant application for the park improvements on behalf of the association. Seconded by Nancy, the motion passed. At the most recent Urban League meeting, the topic of Directors and Board Insurance was brought up. It was recommended that directors of nonprofits should have this as an extra layer of liability protection. Jamie volunteered to look into it and bring forward our options at the next association meeting. Angela suggested the idea of having a neighbourhood-wide garage sale instead of Junk in the Trunk this year. Gord suggested we see if we can proactively help applicants to the RFP for the former hospital lands who we support.